No one is born knowing how to behave at a funeral, and few of us are given regular opportunities to practice and brush up on our skills. Because funerals are so (thankfully) rare, it’s not uncommon to find yourself at a loss regarding attire, how to behave, what you’re expected to bring, or even if you should attend at all. As is the case with most things, funeral etiquette is all about planning ahead and being considerate—and searching iMortuary to find the answers you seek. From what to wear to a funeral to lending a helping hand, we’ve got all the information you need right here. Want a quick funeral clothes overview? Here’s a fast and easy funeral attire solution. Dressing children for a funeral means simplifying their regular wardrobe. In addition to the funeral, you may also need to dress for a wake. Different cultures and religions have different funeral dress codes. Sometimes, dressing for a funeral is about avoiding these common funeral clothes mistakes. 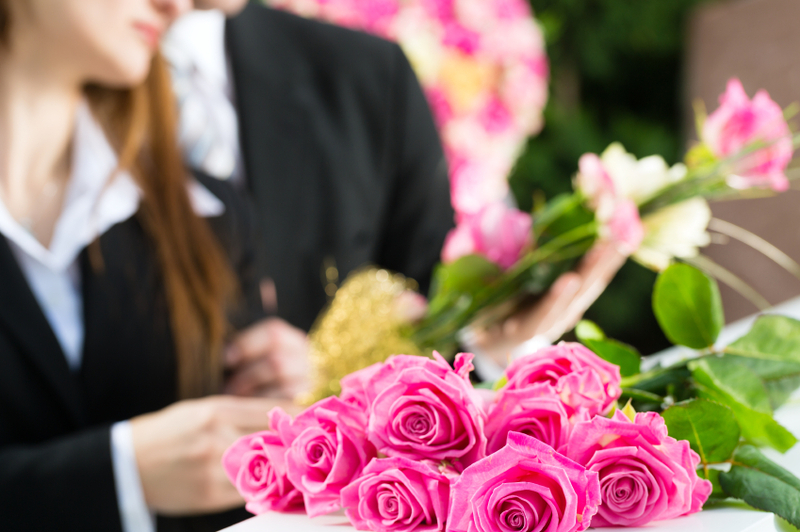 A general overview of appropriate funeral behaviors can help you feel oriented for the event. What about what happens after the funeral ends? Here’s insight on best behaviors at the funeral luncheon. If you’re taking part in a funeral procession, there are rules of the road—and of bereavement. If you’ve been asked to participate in the funeral, here are some tips and guidelines for being a pallbearer or giving a eulogy. Sometimes, it’s impossible to attend a funeral. Fortunately, there are ways you can show your support to the family. Want to send sympathy flowers instead of (or in addition to) attending? Here’s a quick funeral flower guide. In the days and weeks that follow, your support may mean more than you realize. Follow this guideline for offering guidance and help to the newly bereaved. Funeral etiquette doesn’t have to be time-consuming or costly. In many cases, all that’s needed is a helping hand and a sympathetic ear. Dress appropriately, behave with decorum, and provide whatever support you can. The fact that you care enough to do right is often all that’s needed to help a grieving family.